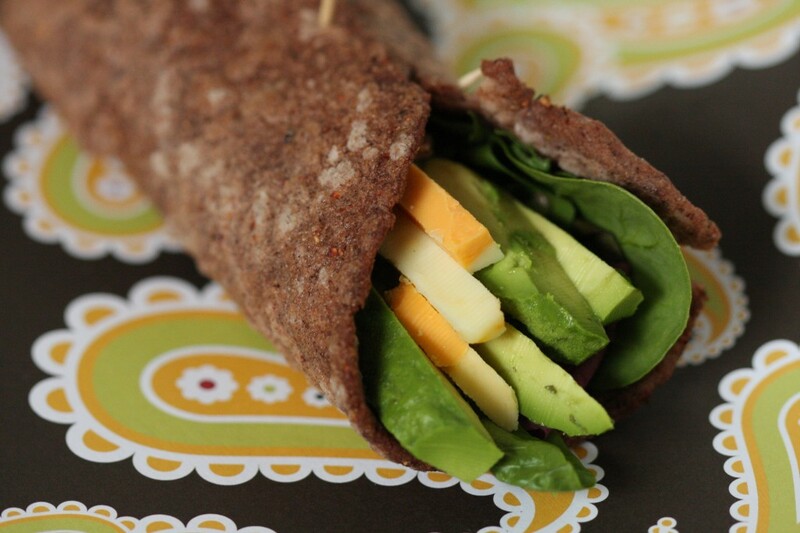 Sandwich wraps. You know, I figured it wouldn’t be too much to ask to find a good, flexible, sandwich wrap if I wasn’t going to be able to have regular sandwich bread. It wasn’t a tall order. (ha). Really. I wanted something gluten free, egg free, dairy free, no starch to make it crunchy, and NO xanthan gum. I think I just heard the crickets chirping since everyone left the room laughing at me. I have this deep conviction though, that GF foods CAN be made with real ingredients, and they CAN be allergen free. I’m darn well determined. And then I found this terrific recipe from Book of Yum. I’ve made a few changes to the technique to prevent failures, but overall, its the same idea. Are you ready for this? So, now, lets get started. Know that this is all in the technique. If it goes wrong, um… you end up with some sludge (that can be cooked, but, its not awesome). I found this out at 1 am trying to make these for the Main St Farmers Market a week ago. I thought the world was going to end lol. Then I figured it out, and the sun came back in my kitchen lol. Add 2 tbsp of the sorghum flour to the water and add the salt. Bring to a simmer over medium heat in a deep saucepan. Let simmer for 5 minutes- you want the flour to start getting cooked, so that it cuts down on your stirring time later, and to make sure that your wraps hold together. After the 2 tbsp of flour have simmered for about 5 min, add gently the rest of the flour, and turn off the heat. Use a stiff wooden stirring spoon to mash out the lumps and keep working the mix in the saucepan. You want to work at it for 2-5 min. There will be a crust that builds up on the bottom and sides of the pan, this is ok. You want your ball of dough to be rubbery and stiff- tap it with your spoon and it should jiggle. Take the dough out, and pull off a handful. If it feels mushy and sticky instead of rubbery, put it back in the pot and keep cooking! When the dough is ready, separate it into balls the size of a handful. You can either roll our your handful with a rolling pan or use a tortilla press (way faster!). (use the olive oil to grease either tool to help). If your dough sticks badly when rolling, or falls apart when you roll it thin, it hasn’t been cooked enough. When you roll it out, it should be rubbery and floppy but not super sticky. Remember to roll them out thin. Place on a hot griddle or in a pan, and cook until the bottom just starts to change colour a bit. Flip it over for a minute or so, and you’re done. They cook really quickly. If you leave them on too long they will get crunchy and stiff. I wanted to thank you yet again for this amazing web-site you have designed here. It’s full of ideas for those who are definitely interested in this subject, especially this very post. You’re really all absolutely sweet and thoughtful of others plus reading your blog posts is a superb delight if you ask me. And what a generous gift! Ben and I are going to have fun making use of your points in what we should instead do next week. Our list is a mile long and tips might be put to good use. Where did you get your Sorghum flour? If yours are light coloured, then that is ok- it just means that you used the sweet white sorghum flour, i used the dark flour. yours are the right colour! Also, if they are breaking apart, its possible that they were on the griddle for a bit too long- i did that and they got dry and started breaking too. (not to worry though ,they make delicious chips- just brush on a little olive oil and salt or even some pesto, and roast in the oven at 350 until they are totally stiff and break them apart for dipping). 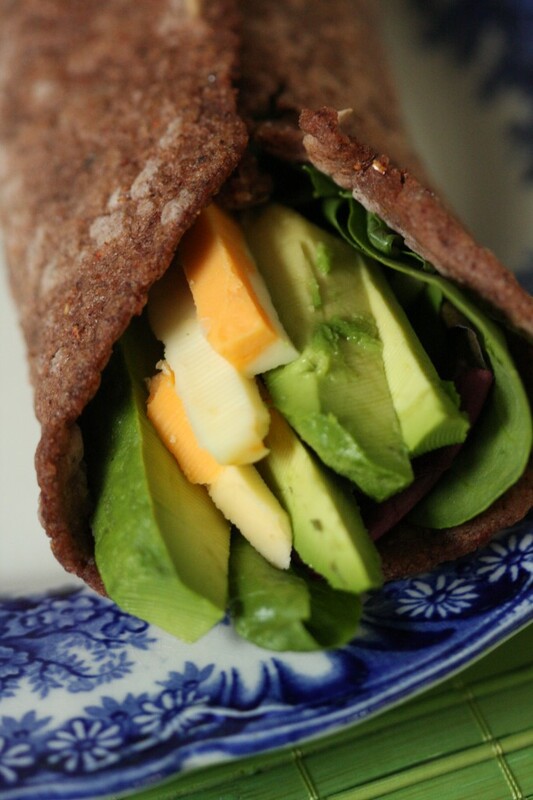 How many wraps did you get out of this recipe?? i want to start exploring gluten free flours like sorghum!! can’t wait to take some classes this summer heehee.